Writing in the bank’s magazine, Quintessence, research analyst Johann Palychata said the bank forecasts two scenarios: “total disruption” or new, improved services for the institutions who handle the world’s trades. Despite this disruptive potential, investors may still require institutions to hold their private keys, due to the difficulty of protecting them. These same custodians may launch their own network or provide an application layer on top of the blockchain, he added. In the alternative outcome put forward by the bank, industry players will integrate blockchain technology as part of their “next generation of IT infrastructure”. This means they will remain in control, with only authorised market participants able to record and track trades on the ledger. “They may deploy new services that they could not in the past because the investments required were a huge barrier to entry,” he added. One startup banking on the “total disruption” of the ‘post-trade’ ecosystem – where ownership is transferred from buyer to seller after a trade – is Digital Asset Holdings, which uses distributed ledger technologies to settle digitised and non-digitised assets. Helmed by ex-JP Morgan executive Blythe Masters, the firm recently acquired two startups, Hyperledger and Bits of Proof, in its quest to siphon volume from firms like the Depository Trust and Clearing Corporation (DTCC), which clears $1.6 quadrillion annually. 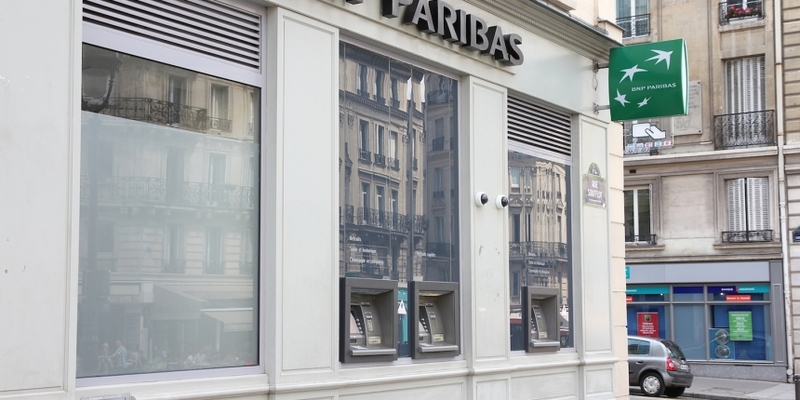 One of the world’s top custodians, BNP Paribas Group offers securities services to its 13,000 corporate and institutional clients across 57 countries. The bank, which also offers retail services, is active in 75 countries worldwide, reporting $39.2bn in revenue for 2014. In an interview with The Banker this week, Philippe Denis, chief digital officer of the bank’s securities services, revealed the company had run brainstorming sessions around blockchain technology for 40 of its employees.